"I’ve got the licence from Square Enix to exploit the original soundtrack from the games as I see fit. Now that I’ve used the music for an event, I have that licence for seven years. So now it’s the album. 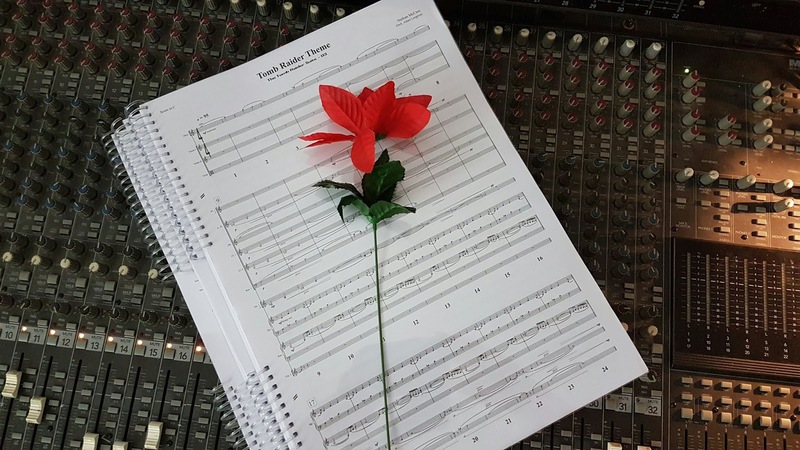 At the moment I am focusing on The Tomb Raider Suite, but I’m also considering releasing the original synthesised versions as they are in the actual game. When asked if returning to the video game franchise to compose, McCree stated "...we have spoken of there being a possibility of me scoring the fourth game. It could not only attract new fans, but old fans who still haven’t played the new games, but with my music". This may be indicative that developer Crystal Dynamics has already hired a composer for the next franchise instalment, an upcoming sequel to 2013's reboot follow-up, Rise of the Tomb Raider (2015), rumoured to be called "Shadow of the Tomb Raider". Read the full interview with Daryl Baxter here. Rumours of Nathan McCree's potential involvement with the next Tomb Raider (2018) film, directed by Roar Urthaug and starring Alicia Vikander, were not addressed. thanks for this review! I think this man is our future!